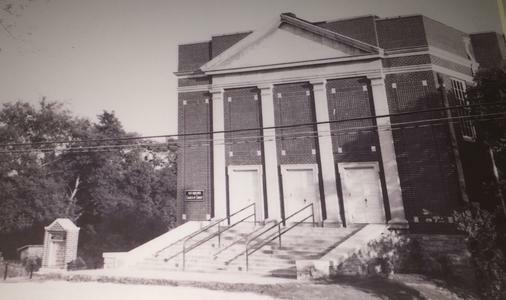 West Nashville Heights church of Christ began August 20, 1944 in a scout house at the corner of Lellyette and O’Brien Ave. The next year the congregation moved to a basement building at 5807 Charlotte Ave Nashville TN. Four years later a 525-seat auditorium was built. In 1962 an educational building was added with several classrooms, a library, and offices. From 1948 until 1962 the church had many visiting preachers and in 1962 West Nashville native Jimmy Dorris was hired to work with West Nashville Heights. The congregation continued to grow and by 1970 with two worship services and over 600 members, plans were finalized to build a larger addition, which included a new 900-seat auditorium with room for a balcony expansion, new classrooms, a fellowship hall, kitchen facilities and a minister house. Brother Dorris preached the first sermon in the new auditorium in 1971. That same year, the church facilities were used for the establishment of Nashville Christian School. After using the facilities for five years, the school moved to a new campus on Sawyer Brown Road in 1976. The ministers house later was used as housing for Lipscomb University college students training to become ministers. In 1995 the 900-seat auditorium was updated with new carpet, padded pews and steps to the pulpit. In 1997 the fellowship hall was enlarged and redecorated. In 1999 the basement of the old building was renovated to serve as a large youth room and extra classrooms. Weekly Care Teams began meeting after evening services in May 2000 to help organize our outreach efforts.